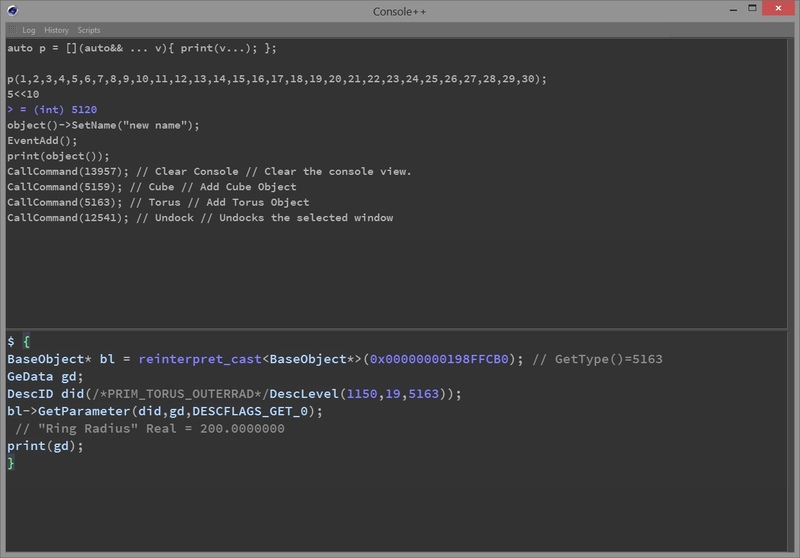 This is a C++14 REPL/Scripting system for Maxon CINEMA 4D R15 on Windows. Right now it uses R14 SDK but this was already be updated to R15 SDK in my internal builds and should be available soon. This interactive system allows you to test/use C++14 code and C4D API directly in C4D without any restart. Of course there are some limitations and because this is plain C++ you can crash C4D with some invalid code.